Zimmer Dental is a renowned producer of implants and prosthetics in the dental industry for its innovation in medical practices, especially in minimal aggressive surgical procedures. 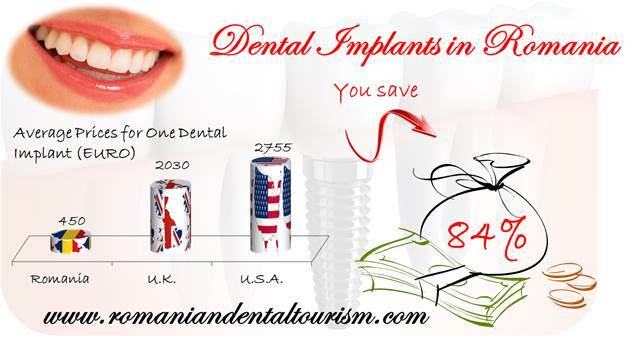 This popular brand of dental implant products is one of the brands used by our dentists in Bucharest. Inserting dental implants is a complex procedure. Dentists around the world rely on medical and technological advances and innovations to perfect not only the procedure of implantation itself but also the duration of the implant and its reliability. 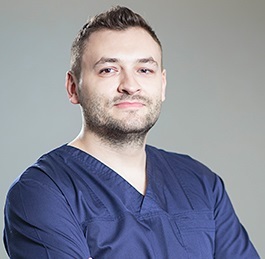 Patients who are interested in dental travel abroad choose Romania as their destination because dental offices here work with high-quality materials at lower prices than in other European countries, like Belgium or the United Kingdom. Zimmer Dental uses the Trabecular Metal Technology, which is a three-dimensional material that has a structure similar to the bone structure. It is designed for bone on-growth and in-growth also known as osseoincorporation. This technology has been implemented by Zimmer Dental for over a decade. The special material is fabricated in Zimmer’s facility in New Jersey, USA. Zimmer Dental offers solutions for implants as well as dental prosthetics and regenerative products. The Zimmer products are manufactured with great accuracy and have a high degree of biocompatibility and sterility. Implants go through thorough quality controls to ensure that the patients benefit from the best possible product. Dental implants are safe and durable way to replace teeth that have been lost or needed to be removed during a surgical procedure or due to extensive tooth decay. Zimmer implants are used successfully for all types of patients worldwide. 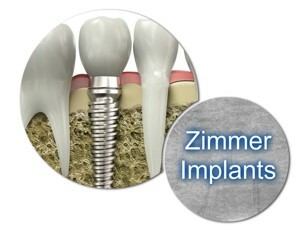 Our dentists in Bucharest use Zimmer implants for patients who are a good candidate for this type of procedure. Our dentists will be able to advise you in regards to your most suitable option and will explain how the restorative process will work. Dental implants can improve not only your appearance but also your confidence. You can find information about the costs of dental procedures in our prices section. Our team can help you plan your trip to Romania. Take a look at the comprehensive materials on our website and contact our dentists in Bucharest for detailed information about dental treatments abroad and traveling arrangements.